I’ve been a fan of the Jabra Move wireless headphones for years. 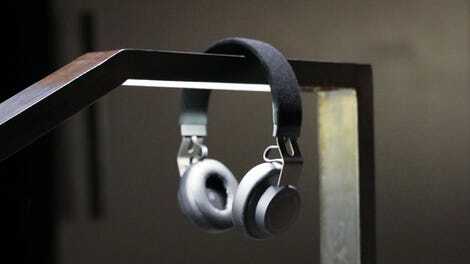 They’re super functional, lightweight, attractive, great-sounding, and at $100, surprisingly affordable. Jabra just released an updated version of the headphones, the Move Style, with improved battery life and a new range of colors. The best part is they’re still really good and really cheap. The Jabra Move Style, like the Jabra Move before them, are simple, functional, on-ear, headband-style Bluetooth headphones built for normal people. They don’t do all the fancy things that much more expensive wireless headphones can do. There’s no adaptive noise canceling. There are no gesture-based controls. There is good sound quality, but it won’t blow your mind. The Jabra Move Style will do all the most important things wireless headphones need to do dependably well. And let me drive home the point that $100 is a tremendous bargain for this package. Now let’s talk about those most important things. For anyone switching from wired to wireless headphones—and that group includes a lot of folks shopping at this lower price point—good Bluetooth connectivity is incredibly important. This is also one area, where I’ve noticed Jabra consistently stands out from its competitors. Once the Jabra Move Style headset pairs with your device, it will quickly link back up any time you power on the headphones. The headphones also stay connected, even when there’s lots of interference. 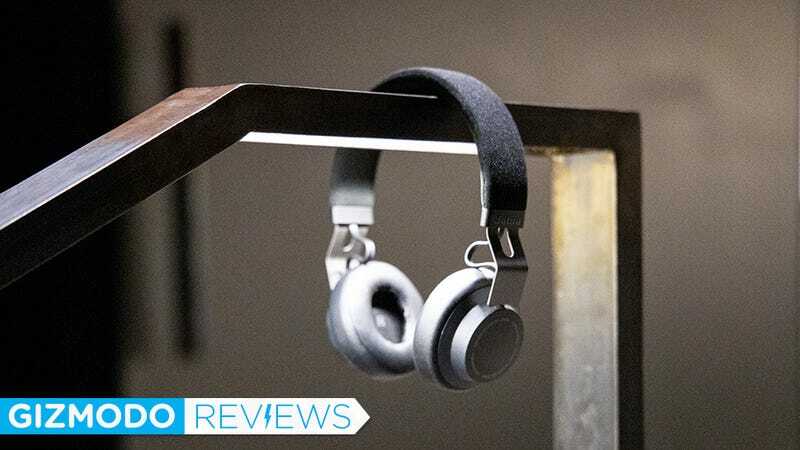 While I’ve seen much more expensive wireless headphones struggle in this regard, my time with the Jabra Move Style seemed virtually effortless in terms of staying connected. Another big sticking point is design. Headband-style headphones often run the risk of being too tight, too loose, or too heavy—all qualities that can discourage you from wearing them. What I like about the Jabra Move Style headset is that they’re light enough to sort of disappear when you’re wearing them, but they also don’t feel flimsy. The stainless steel piece that connects the ear cups is strong but flexible, and I like the soft fabric that lines the headband. Otherwise, the minimalist design is just plain attractive. The Style edition comes in black, navy blue, and gold beige, all of which feel more contemporary than the earlier color options for the Jabra Move headphones. The updated headphones also come with 14 hours of battery life instead of the eight hours on the earlier model, without any added bulk. All of those things might sound like details if you’re an aspiring audiophile. And if that’s the case, I’ll tell you bluntly: the Jabra Move Style are not audiophile headphones. They’re daily drivers for the casual music listener who cares more about value and convenience than better hearing the fluttering details of Muddy Waters’ slide guitar on “Feel Like Going Home.” That song sounds good on the Jabra headphones! It just sounds a lot better on headphones four times the price. Good is a great word to use when talking about the audio quality on the Moves, though. “Paper Trails” by DARKSIDE sounds atmospheric but not amazing. “Bohemian Rhapsody” by Queen sounds fine but not as life-changing as it might on a good set of Sennheiser headphones. This is all to say that if you are indeed an aspiring audiophile, you might consider upping your budget. What I like most about the Jabra Move Style is that they work well, they look great, and they do their job of playing music well. They’re also not half bad for phone calls, although the single microphone leaves something to be desired. The headphones are a spectacular value. For $100, you get better performance out of the Jabra Moves than you would out of plenty of wireless headphones twice the price. Even better, since they’ve been around so long, you can find earlier generations of the Moves for much less than $100. For me, the improved battery life of the Jabra Move Style is reason enough to invest in the latest generation. If you use them for six months and find that you want something more out of wireless headphones, you’ve already saved the money for an upgrade.